THE CANADIAN PRESS -- OTTAWA - The TD Bank says Canadians can expect borrowing costs to remain near record lows for the rest of the year. That's because the pace of the economic recovery is expected to slow sharply in Canada, the United States and much of the world. As such, the Bank of Canada will likely refrain from raising its key interest rates until 2012, TD says. The central bank has had its policy rate set at one per cent since September. The rate was set at all-time low of 0.25 per cent through much of the recession, to stimulate borrowing and spending, until a series of rate hikes began last summer. The still-low rates have been a double-edged sword for Canadians who are already piling up debt at record levels, according to the Certified General Accountants Association of Canada. 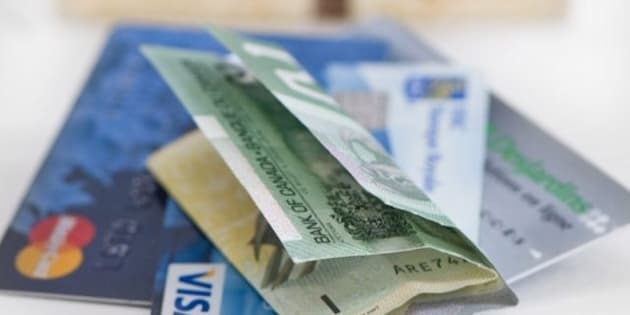 The association says Canadian household debt has reached a record $1.5 trillion, and calculates that more than half of indebted Canadians are borrowing just to afford day-to-day living expenses such as food, housing and transportation. Low interest rates will make it easier of Canadians to keep borrowing, setting them up for a fall further down the road. Debt is partly contributing to a slowdown in Canadian growth, says the TD Bank, because households are too tapped out to spend and stimulate the economy. The bank says Canada's economy is believed to have already slowed to 1.3 per cent growth during this current quarter that ends at the end of the month, one third the pace of the first quarter's 3.9 per cent gain. The rest of the year will see growth crawl along between two and 2.5 per cent, the bank says. As the recovery moderates, so will job growth. The bank says it expects the unemployment rate in Canada will remain above seven per cent throughout its forecast period to the end of 2013. With little help from consumers, Canada will need to depend on exports and business investment to fuel growth.